We are living in Phuket. We didn't hear or feel anything at 08.00 at the moment of the quake though we were awake. 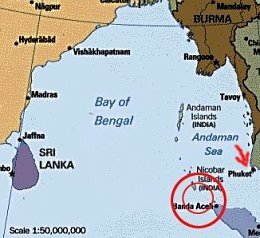 The quake happened about 400/500 km away from Phuket. Click on the map of Asia for a bigger pic. 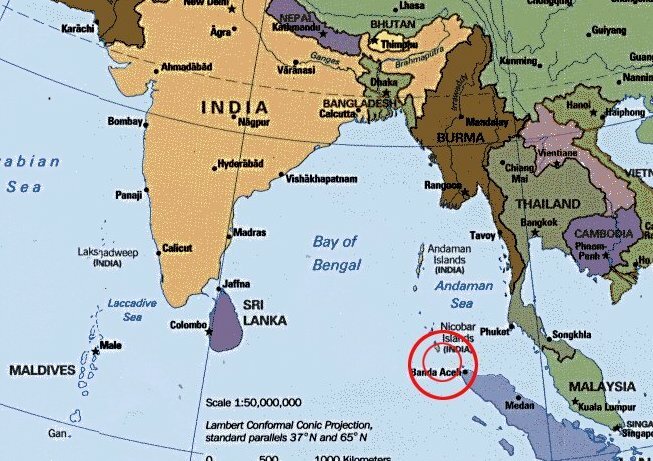 Because of the positions of the layers in the earth the main portion of the water went to India, and arrived at Sri Lanka around 10.00/10.30 o'clock. The same time fewer but still strong waves reached Thailand. It arrived at the island of Phuket around 10.15/10.30. 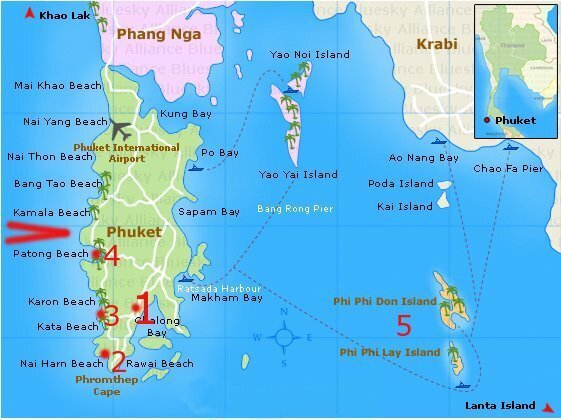 Main target: the west coast of Phuket/Thailand. Animation from Japan (big 600kb). 1. Our house, about 500 meters from the east coast. 2. Nai harn, Rawai, the beaches on the South coast, damaged but not so severly as the West coast. 4. Patong, the most popular touristic place on Phuket. All the hotels fully booked. High season and Christmas. Most damaged. 5. Koh Phi Phi, famous from the movie "The Beach", very small island but overloaded with backpackers. A lot of wooden bungalows. A lot of damage. This what probably happened: The quake caused the water to move. 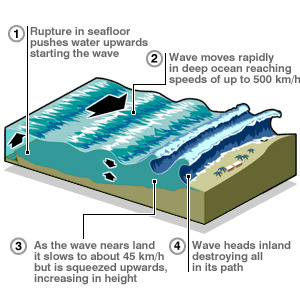 At terrific speed (500-800kmh) the Tsunami starts to gain and to travel. When it reaches the coastline, the speeds decreases but the people at the beach don't see or hear anything strange. But then the water is suddenly gone. 1 minute later you can walk about 500 meters in the sea. No water. Where is the water gone? Oops .. I see it coming... argggghh.. a huge wall of water is entering the coast, 6-10 meters high, destroying everything on his path. In the areas I visited (2, 3 and 4) the waters reaches about 400-500 meters inland. Hotels and houses further than 500 meters away from the coastline are probably not effected at all. This morning I took some pics. Start off with this one. It's big, I put 6 pics together in one to get a good panaroma view. It is in Patong. View it and click on it to enlarge (if necessary). More pics from Patong, unsorted.